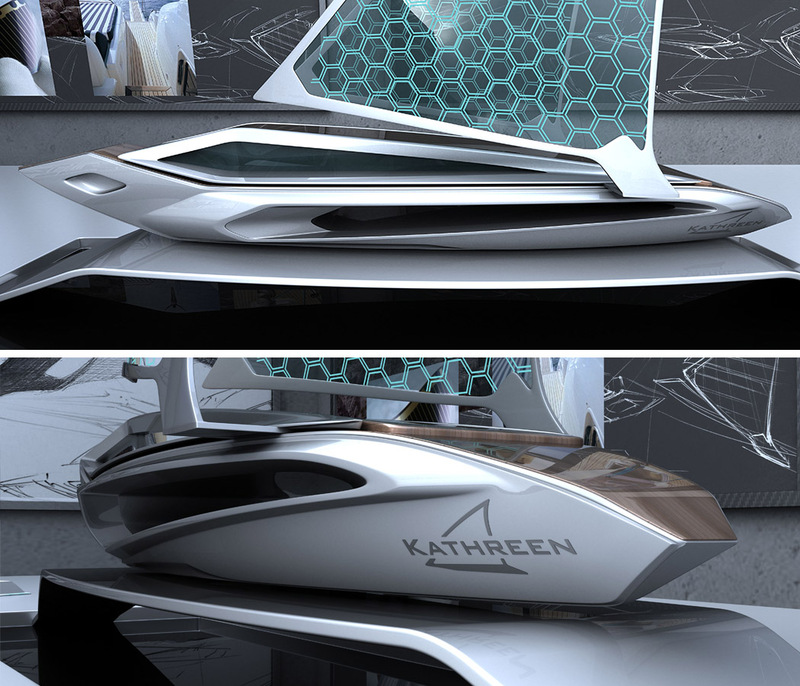 Kathreen by Marko Petrovic is a design study of an electric sailing yacht with the elements of modern contemporary art. 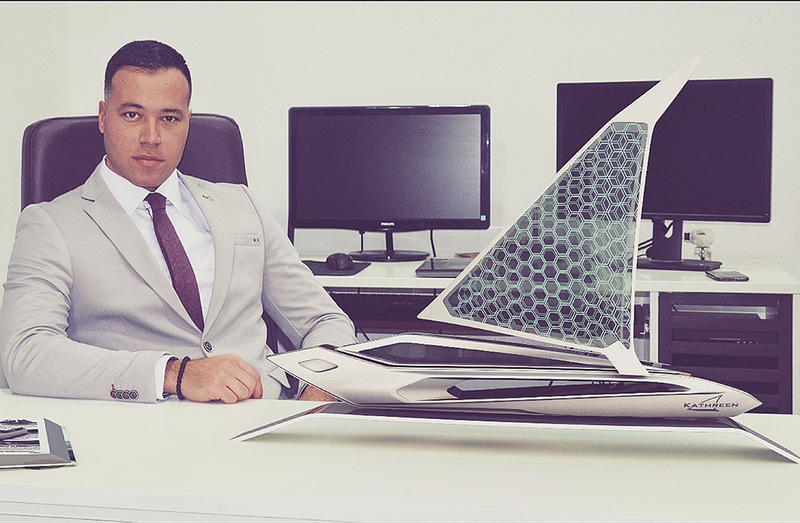 It has been designed as a 45m long luxury yacht with elegant design. 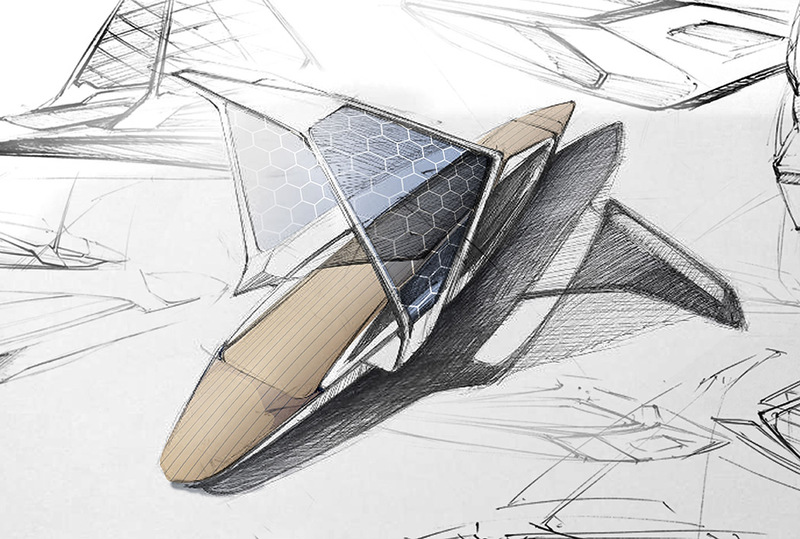 Massive shape and 2 solid structured solar sails. The inspiration was taken from modern architecture where main goals were simplicity, volume and aggressive but yet sophisticated design line. 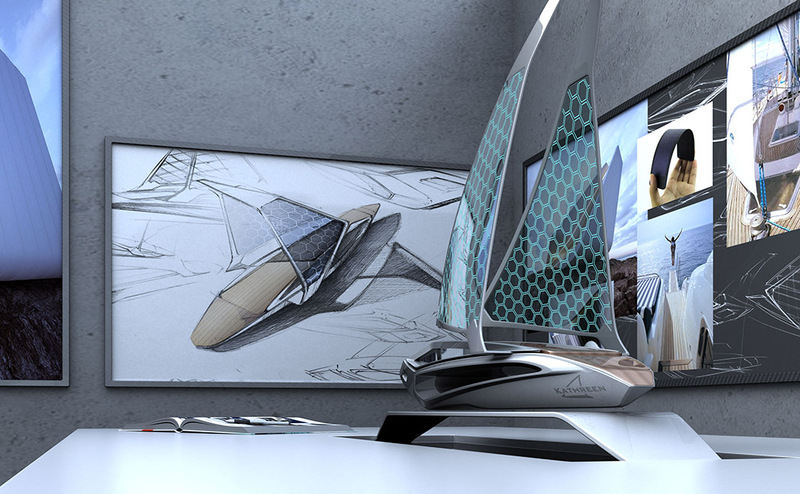 As for the sea inspiration the design resembles the body of a sword fish. 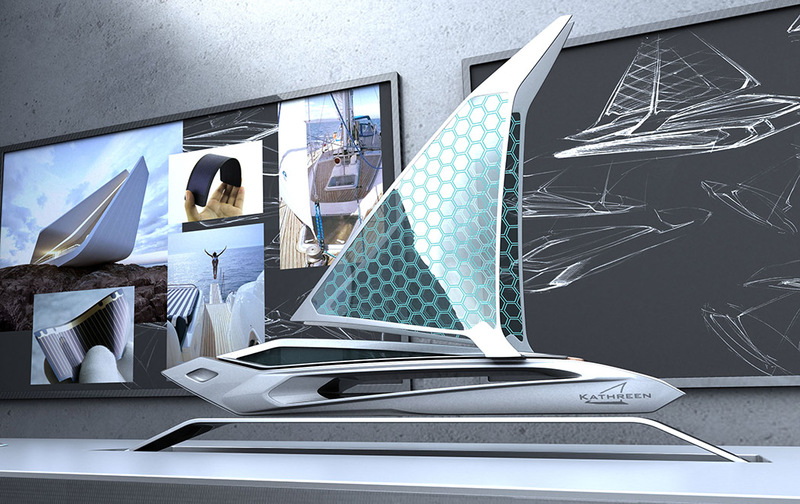 This luxury sailing yacht is imagined as a 2 floor glass cabin yacht (first floor to be a lounge area and the second control center) 2 massive sails consist of solar power panels that were imprinted in sail material creating a giant web of collectable energy. 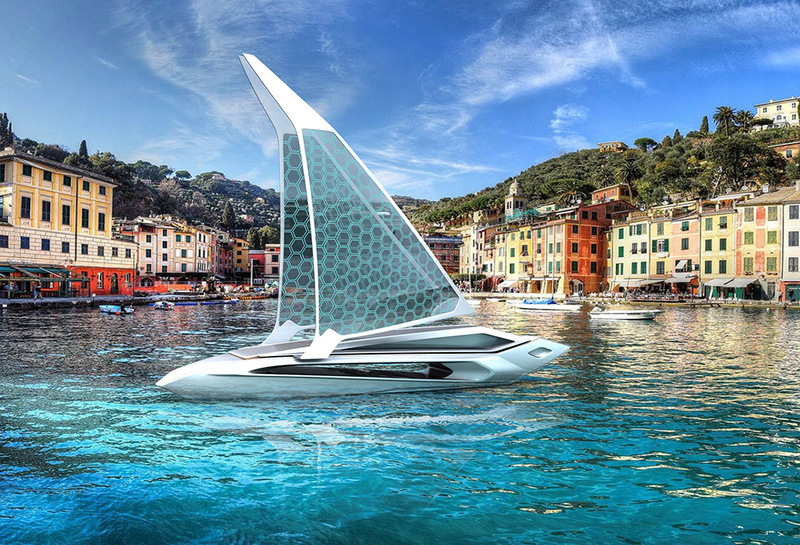 Height of these sails is around 30m. 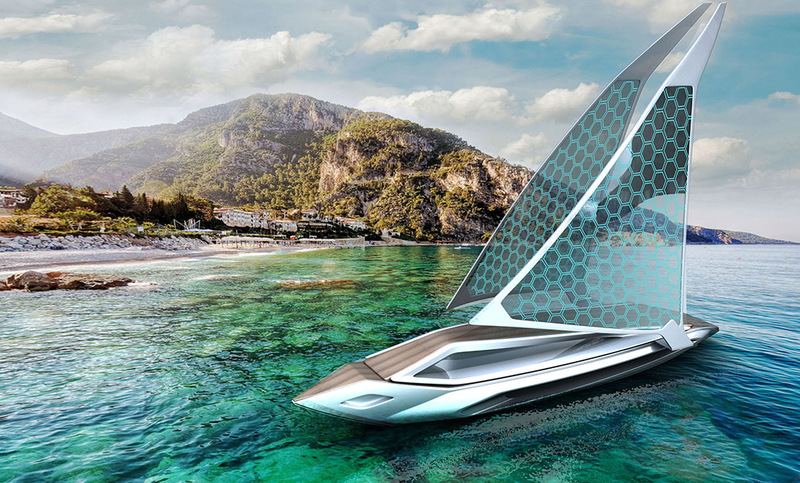 Sharpe and edgy design perfect for cutting waves and together with large sails reaching high speed. 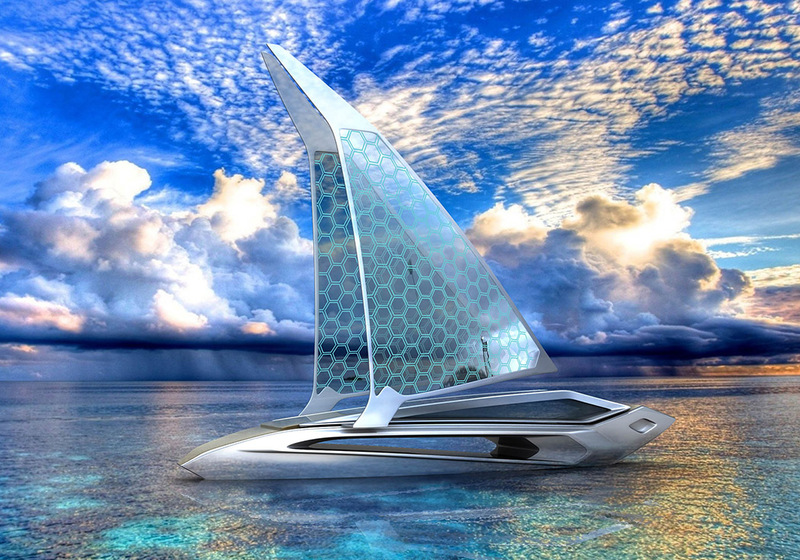 Though this is just a concept once it’s made it could be listed in the top most expensive yachts of the world.